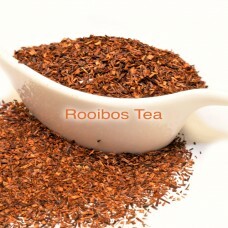 Rooibos Teas are naturally caffeine free. 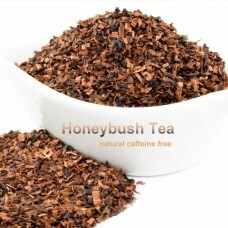 It is a naturally caffeine free tea comes from south africa. Great as both hot and iced tea. 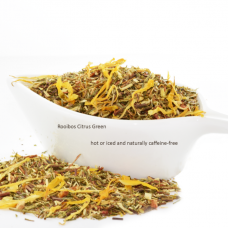 Also great as a base blend for flavored tea such as our Midnight Breeze Herbal Tea great as a nightcap tea. 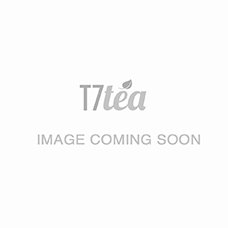 Organic Honeybush Hazelnut Tea T7 TEA Honeybush Hazelnut tea combines the mellow, gently roasty f..
Organic Rooibos Tea Rooibos, known as 'Red Tea', is a naturally caffeine-free from South Africa. 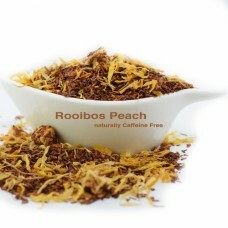 ..
Rooibos Peach Rooibos tea with peach pieces and safflower petals. 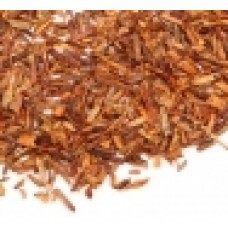 Perfect for hot tea or iced tea -..
Rooibos Vanilla The International Ice Cream Association has voted Vanilla, by far, the most popul..
Rooibos Citrus Green blend with green rooibos ( the rooibos bush - pron: 'roy-bus') from South ..